How It’s New York: One of the best things about living in this Publishing Capital is that you can stay put, and everyone comes here. These past few weeks alone you could hear from Mary Gordon, Edna O’Brien, Pete Hamill, Paul Muldoon, T.J. English, Dan Barry, Colum McCann, Joseph O’Connor, Belinda McKeon. I know other cities have book festivals. New York is a book festival. How It’s Irish: The writers are Irish and Irish-American, and though their styles diverge widely, their love of words and language, and narrative binds them together. To a person they praise Joyce– and it’s Bloomsday June 16! Stay tuned for news of Bloomsday on Broadway at Symphony Space! Novelist Mary Gordon will talk with one her former students, Maggie Pouncey at Bryant Park tomorrow(June 1) at 12:30, about her new book The Love Of My Youth. It’s a part of the free “Word for Word” outdoor reading series. The new book is set in Rome and it is about long separated lovers, and about time. “Look for the burgundy and white umbrellas,” the press agent says. If it rains, the event will move to the Library of the engeral Society of Mechanics and Tradesmen at 20 West 44th St., bet 5th and 6th. I got to hear Mary last week at The Half King during Pen, Paper and Palate (read my write up here) and have interviewed her for an upcoming podcast. I promise I will get audio up from that event, as well as from the Edna O’Brien events below! 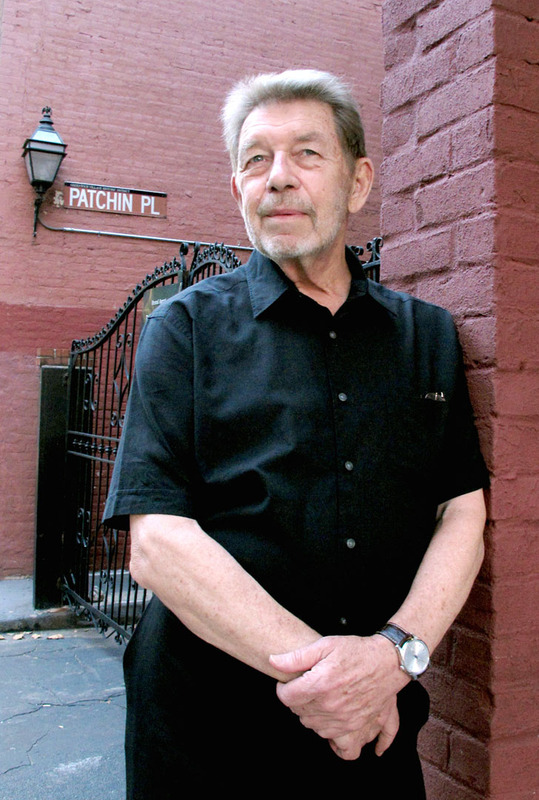 Pete Hamill, who will appear at “Word for Word” on June 22, recently read from his new book Tabloid City at the Irish Arts Center, a novel about a fictional newspaper and its demise. He’s working on a book set in Sicily, so I asked Mary what is that about– you in Rome, and Pete in Sicily? She laughed and pointed out that the Irish and Italians in America went to the same Catholic schools, and could marry each other. Pete reminisced at The Half King about the day an Italian lady crossed the hall and taught his mother how to make pasta. And he’s very excited right now because they have made Subway Cards with his likeness, and for the first time people in his neighborhood think he’s famous! It seems almost as if it was Edna O’Brien week in New York; she made three appearances. I went to two, and also interviewed her for the podcast! First, there was Selected Shorts at Symphony Space on Wednesday. 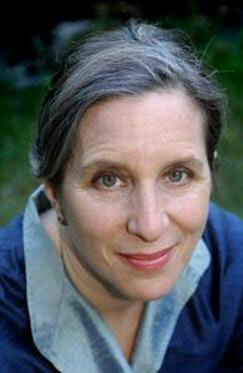 In this series, the author introduces a few stories that are read by distinguished actors. Gabriel Byrne was supposed to read one of them, but he was stuck welcoming Obama in Ireland (well, Byrne is the Cultural Ambassador, so we can forgive him). But he made up for that by interviewing O’Brien last night at McNally Jackson books in Soho. You can read Michelle Woods’ wonderful review of O’Brien’s haunting and lovely new collection of short stories, Saints and Sinners, and listen to Michelle discuss it in last week’s podcast. “Where did we buy that hat?” he asked. Before they took the stage, O’Brien happily ticked off the list of “masters and mistresses” she’s “stolen from” over the years: Joyce, Chekhov, Faulkner, Welty, O’Connor and Munro, to name a few. McNally Jackson was an intimate event, though SRO. There was wine afterwards and a great deal of mingling, and Edna signed books. Really, it is not fair for her to look like that and be 81! At McNally Jackson, O’Brien read from my favorite story in the collection, “The Shovel Kings,” an observation of a man who had come to London from Ireland as a teenager to work on the roads, and how he discovers as an old man that he can’t go home again. Ireland has gone too far away from his own memories, and he’s an exile in both worlds. Byrne asked her about her journey from a woman whose books were banned and burned to that of a literary treasure, and she spoke about Catholic guilt and its lingering influence. I will get audio up from this as well! Byrne also asked her why she had never remarried and blushed when she replied “you never asked me,” and muttered something about “the older woman.” She then said that being a writer takes every drop of blood, everything you have. Her children might slip notes under the door to get her attention (“we have scarlet fever!”) but she could manage the situation. The evening was put together by Culture Ireland’s Literary Curator Belinda McKeon, whose novel Solace launched at Glucksman Ireland House recently. We will have her on the podcast too, so check back for that and for our review!